A football magazine with a difference. 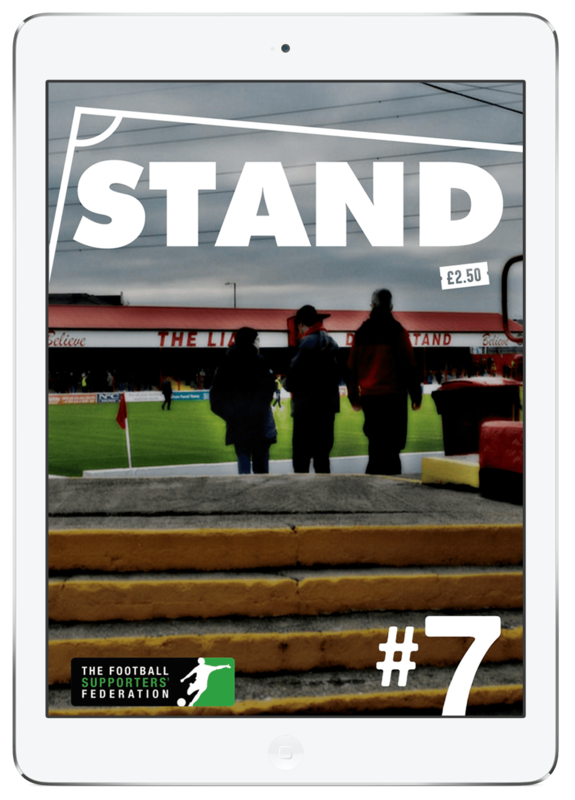 Written by fans, for fans, STAND aims to bring a voice back to the supporters, challenging clubs to put the people behind the teams first. Now they’re bringing their voice of discontent to the global stage with a brand new Apple Newsstand App and digital edition. If you want a critical approach to soaring ticket prices and a disregard for the backbone of the beautiful game, then you need STAND in your life. Packed with all the features you’ve come to expect from Exact Editions, the app also incorporates ByPlace™ Geopromotion technology, so keep your eyes peeled for exclusive free access!